Clear the Decks. 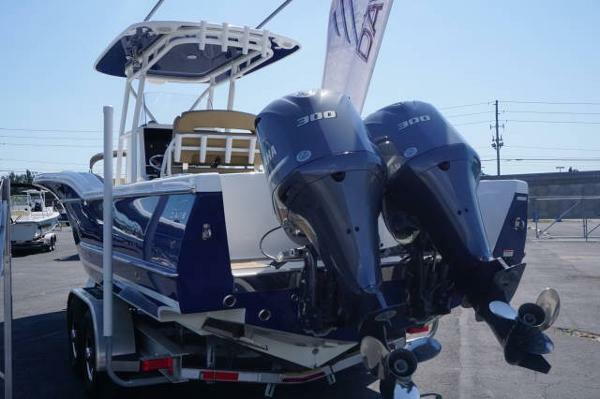 Dealer boat show demo. Call for special pricing! 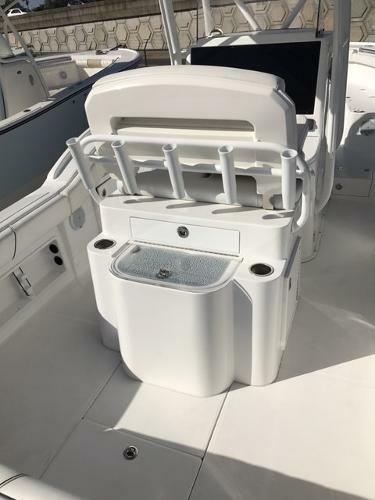 Pure fishing adrenalin is what you can expect in the Davis 28 Center Console. Designed and engineered with fishing in mind, this powerful machine rivals all other boats in this category. With it’s exceptional fit and finished matched to the intelligent design of the hull and bow flare, the 28 attacks the waters as you hunt for the next catch. Once you’ve reached your fishing destination, you are fully prepared to engage with wrap around coaming, rod holders, tackle storage, livewell, fishbox and plenty of deck space to real in the big one. 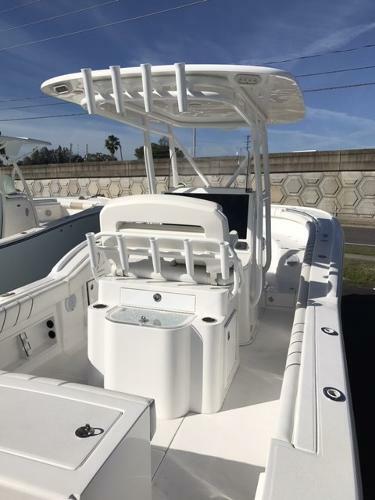 Don’t be fooled by its beauty and comfortable ride, this boat means business when it comes to fishing and cutting through the roughest waters. The 28 CC is your gateway to experience the Davis difference.